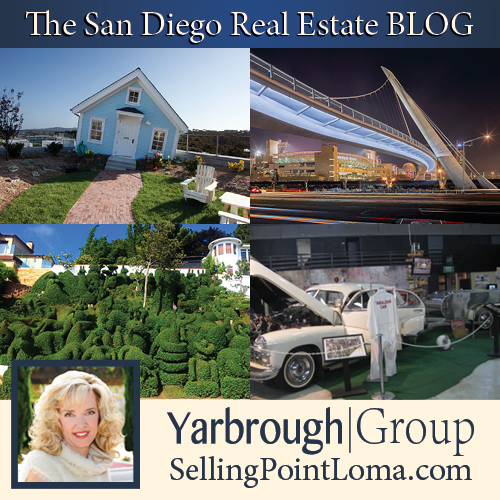 This week on the San Diego Real Estate BLOG, we let you in a few of San Diego’s secrets know only to locals. Enjoy!!! The sigular vision of Do Ho Suh, a Korean-born and Rhode Island School of Design-trained artist, the Fallen Star is the 18th piece in a series of permanent public art installations of the Stuart Collection at UCSD and just so happens to be hanging over the side of the Engineering building, seven stories up. The house is modeled after one Suh knew back in Rhode Island, and is miniature – but it’s fully furnished with a cozy interior, and landscaped with a roof-top garden. Through donations, the Collection foundation and the National Endowment for the Arts, the project was conceived, designed, installed, furnished and landscaped around the artist’s singular vision. 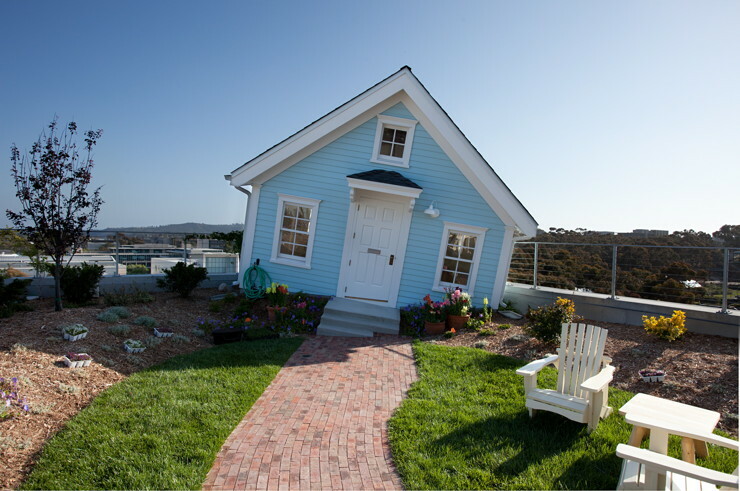 Be warned, the house can be vertigo-inducing due to its irregular angles and non-square walls, windows, and doors. Nothing in the house is level pr plumb. These effects are all subtle enough in themselves but can add up over time. You can visit the Fallen Star on Tuesdays and Thursdays for free from 11:00 am to 2:00 pm. The house is perched atop Jacobs Hall, at the end of Engineer Lane (off Voigt Drive). Use the main entrance then take elevator to the 7th floor. 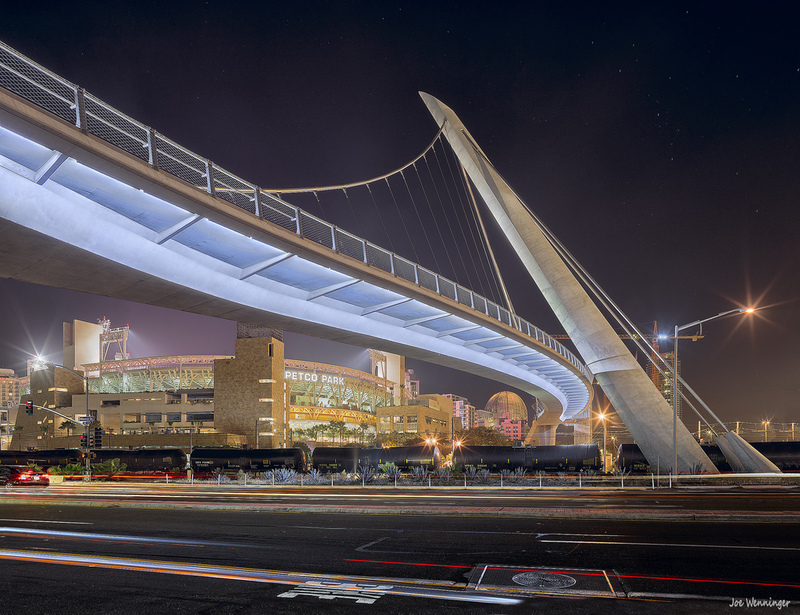 Built in March of 2011, the Harbor Drive Pedestrian Bridge is one of the longest self-anchored pedestrian bridges in the world, spans 550 feet in length, has a 60 degree angle, hangs 131 feet above six lanes of traffic, and adds beautifully to San Diego’s uniqueness. It is a must see if you ever find yourself in the downtown area. Be aware that this is a popular photo spot, both day and night, as it offers spectacular views of both downtown and the Bayfront. You can get to the bridge by stair or elevators, but and parking can be difficult as this is downtown. Some may just be easier to walk to if you are already in the area, otherwise, the parking lot attached to the western side of the bridge will charge you $11 after the first 15 minutes. 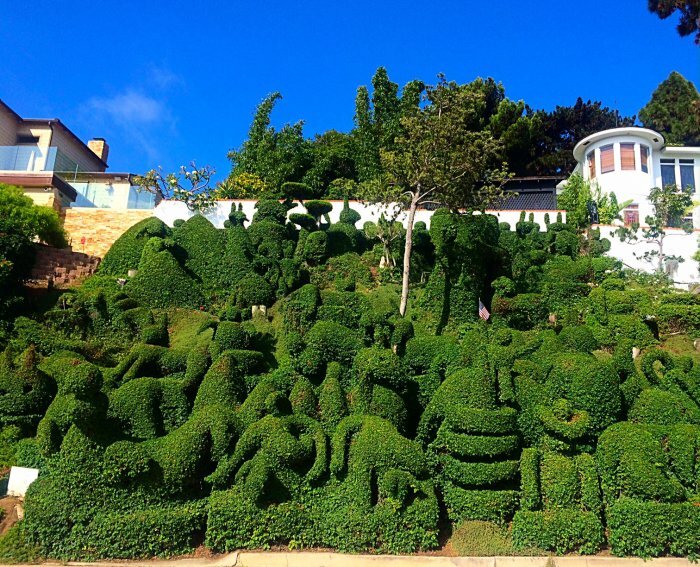 Edna Harper did not like the shrubs that decorated the hilly landscape of her Mission Hills. Being unwilling to yank the bushes purely for esthetic reasons, she and her husband Alex came up with a delightful solution that they hoped would be suit everyone better. For 15 years Edna conceptualized what she’d like the bushes to become, then went to work. The couple has shaped the bushes into over 50 different creations, many inspired by their travels around the world. Shapes include pyramids, a dinosaur, a surfer, a buddha, and a plethora of animals including a whale, an entire herd of elephant, and a figure of their gardner, who helps Edna maintain her artwork.This is especially impressive since the bushes were mature when the work began thus they were painstakingly shaped and guided over time rather than slapped in a wire frame and “trimmed to fit.” The couple is happy to share their lovely living sculptures with everyone, ree of charge, as long as everyone promises to tread carefully and refrain from entering the garden. When visiting, please remember this is a private residence, and act with the proper respect. Louie Mattar wbuilt one of the most unique vehicles every to drive the road, and it is now on display here in San Diego. 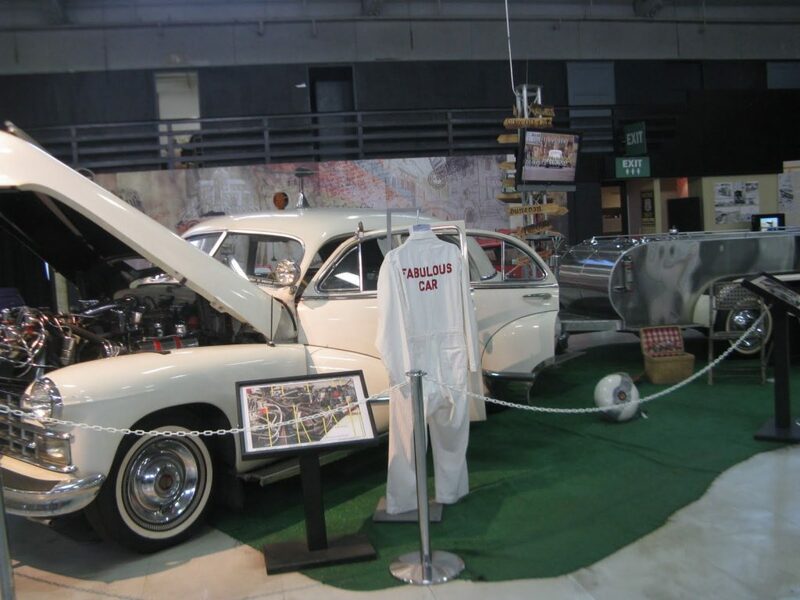 The custom built car and trailer were loaded with amenities for a 7-day, 6,320-mile trip from San Diego to New York and back. He and two other drivers took shifts and didn’t stop the car a single time during the record-breaking trip at the end of September, 1952. The drivers made an even longer nonstop run from Anchorage, Alaska to Mexico City (7,482 miles) in August 1954. The inspections for customs at border crossings were all done on the move.